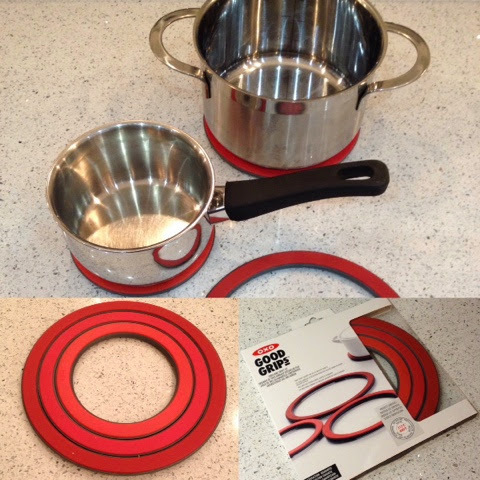 Today I'm sharing some of the new items that I've been sent in the past few weeks for my Kitchen. Nothing in itself edible in this roundup, but all very useful and well worthy of a place in my kitchen. I've always fancied the idea of an oilcloth tablecloth but for some reason have never actually got round to getting one. 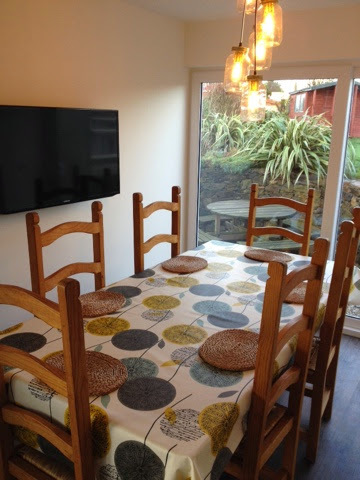 Wipe Easy Tablecloths got in touch to offer me one for review and I jumped at the opportunity. Then came the difficult decision. Which pattern to choose? I pondered over a Christmas cloth via an everyday one but in the end let my head overrule my heart and after much deliberation opted for the Alium Teal Oilcloth. "This is a beautifully fresh and modern design with a Scandinavian influence. 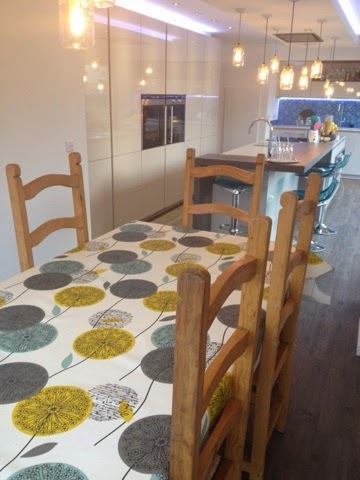 With bold flower head colours of teal blue, mustard yellow and charcoal on a natural background, a great all round wipeable tablecloth, that will make a real statement." I am absolutely delighted with my oilcloth and kicking myself for not getting one much sooner. It arrived via courier on a roll which keeps in in perfect ccondition and crease free during the delivery process. The pattern is stunning and looks very much at home in my kitchen. The cloth is wipeable and water resistant - no washing required. The oilcloth coating stops any fraying but still allows a soft drape effect. There are some items which may stain the cloth (tomato based sauces/curry sauce/ink/shoe polish/nail varnish/lipstick/newspaper print) however as yet I've had no issues in keeping it clean. Its already proved to be a fantastic backdrop for photos on the blog and my social media so no doubt you'll spot it making regular appearances online. My only gripe? They only come in red which doesn't match my kitchen colour scheme. More colours please! Boy and Girl were both very excited when this parcel arrived. 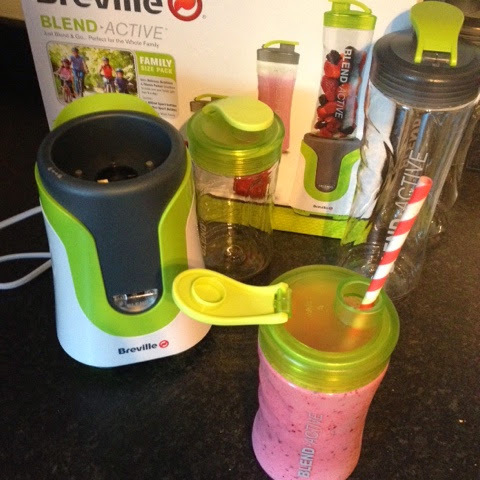 The prospect of making their own smoothies meant they couldn't wait to try out the Breville Blend-Active Family Pack. 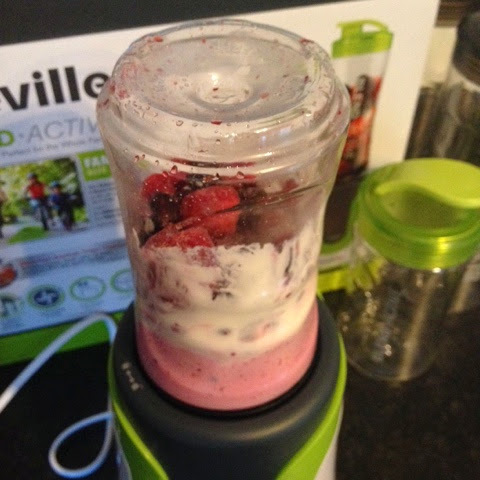 Up until now we've occassionally made smoothies in the food processor or with a handheld blender. Neither of which worked particularly well in terms of convenience. I was interested to find out if the Blend-Active could provide the promised quick and easy clean solution. The Blend-Active is a really clever piece of kit. The family set comes with two large and two small bottles. The difference between this and other smoothie makers is that you blend and drink from the same bottle just swapping out the blade for a lid. Another huge plus point is that it is super easy to clean. 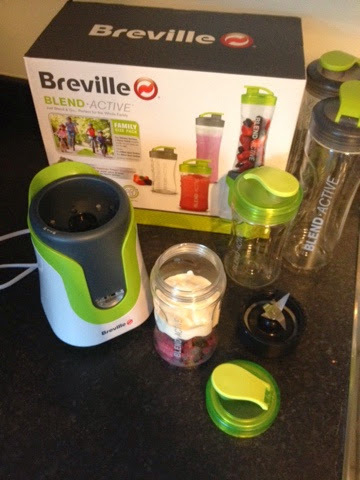 It's also really powerful and makes fast work of frozen fruit although I quickly found out that using too much frozen items left me with ice cream rather than smoothie! Its great for the kids to use and seems very foolproof and we've had no issues with the bottles leaking. I'm definitely planning to try out its cocktail making abilities over the festive season. However come January when it will be back to reality after Christmas excess it will be time to put it to very good use in a healthy eating plan where I think it will work very well in combination with my juicer. Disclosure : Thanks to Wipe Easy Tablecloths, Oxo and Breville Blend-Active for providing the above products. I was not obliged to review positively in return. All views expressed are my own. I've been using an off-cut of oiled tablecloth in my Christmas Blog Photos, it gives a good shine! I'm always rooting about in the bargain bin at John Lewis!